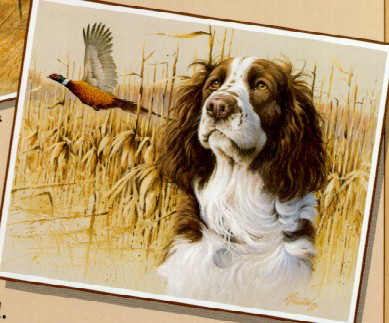 Jim Killen 's Limited Edition Print " In The Field - Springer / Pheasant "
" In The Field Springer / Pheasant "
Early morning with crisp autumn air. Your dog is working the field. memorable day ! The spirit of your dog is the essence of the hunt.